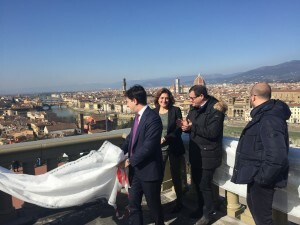 The restoration of the balaustrade that lines the corner of the Piazzale Michelangelo was revealed today by Mayor Dario Nardella. 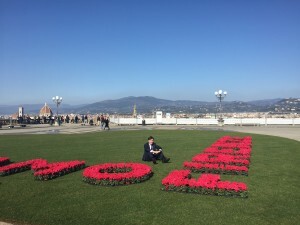 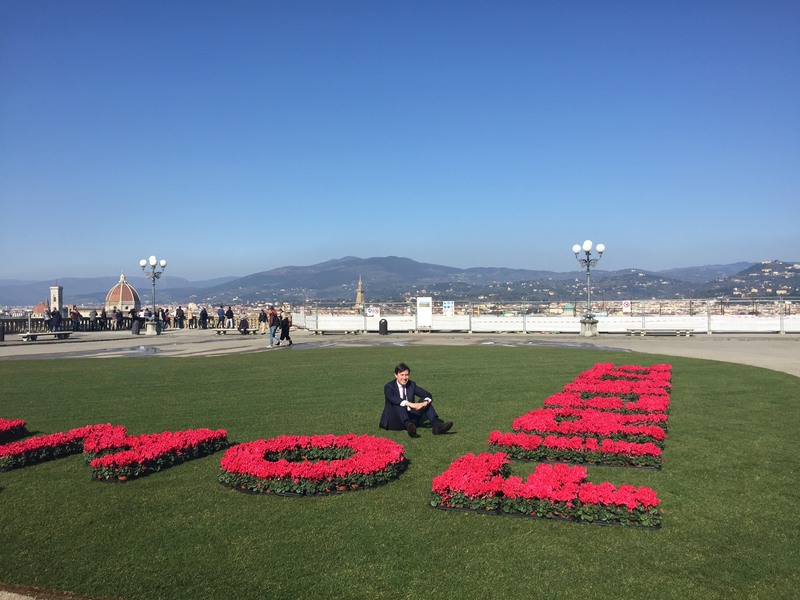 The restored balaustrade was also paired with the reveal of an enormous flower arrangement in the heart of the Piazzale, spelling out “Amo Firenze”. 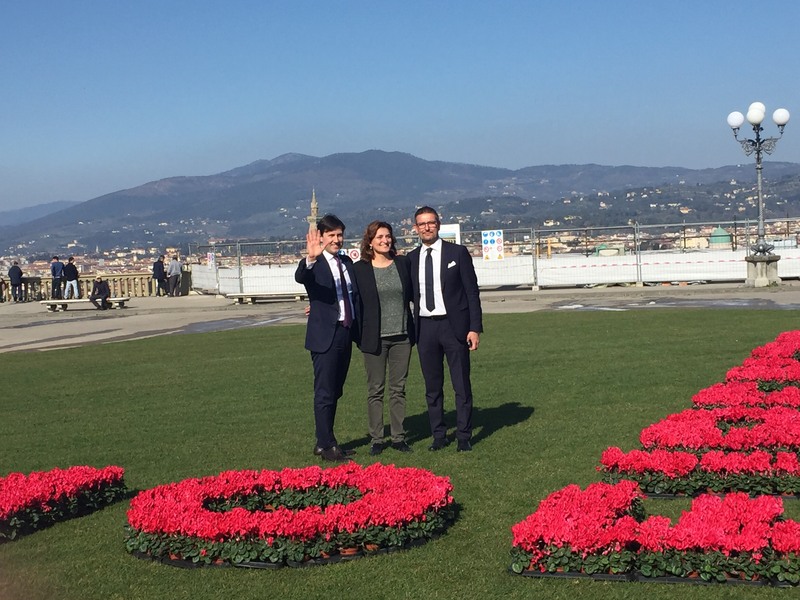 Over 1-million euros were donated last year to restoring the original beauty of the Piazzale, and the ongoing improvements to the originally standing balaustrade is a much-needed implementation to the charm of the Piazzale. 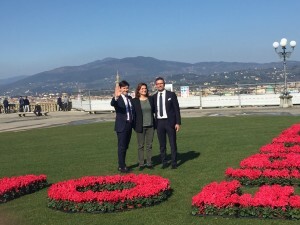 Mayor Nardella hopes that the restoration will bring beauty back into the beloved tourist attraction, as it seemed to have generated significant interest with its reveal today.